Two posts in one day… please bear with us! If you run a pub or bar and are stocking Kent Green Hop Beers you may find these useful. 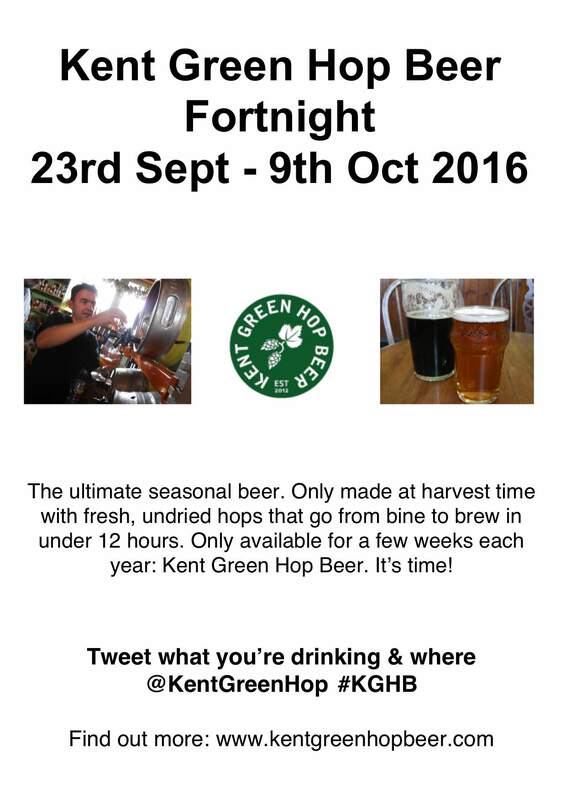 Feel free to print off and use to show your support for, and involvement in, Kent Green Hop Beer Fortnight 2016. There are four different versions of the same poster – links to download below.